Sign up for a four-week wine course at Bantry’s Organico to deepen and enhance your appreciation of wine! Each week we’ll be sampling different wine styles from different parts of the world on this fun and informal course. 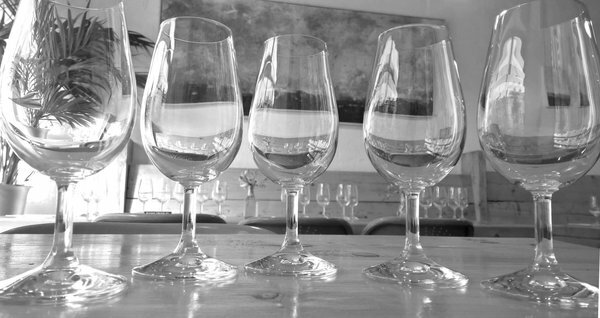 The course is a sociable and enjoyable way to learn more about what makes a fantastic wine. You’ll gain a sense of how the flavours you enjoy are shaped by the places where wine is produced, as well as by production techniques, and the characters of wineries and wine-makers. We’ll taste delicious organic, biodynamic wines each week,concentrating on wines produced through sustainable farming. Try natural, sulphur-free wines, and you’ll be sure to find new favourites as well as learn more about why certain wines suit your palate. When you’re able to take good notes on wine, you’ll be ready to carry on building your wine knowledge once the course is over. Even if we love wine, we sometimes struggle with matching each one with food, and this course is here to help. Each week, you’ll have the chance to sample wine with great West Cork food, and over the whole course you’ll build a better sense of how to match wonderful wine with great things to eat. Your guests this Christmas are going to be so impressed by the delicious combinations you dish up! The course will be led by Jacqueline Stedman, a trained winemaker, viticulturist, and oenologist. Jaq has a passion for artisan food and beverages that are made with empathy and care, and she is looking forward to sharing her insights and expertise during this four-week wine course in West Cork. And of course, Organico – home to great organic food and wine – is the perfect place for you to a course introducing you to gorgeous flavours. Please note, booking is essential. Booking will close three days before the course begins.